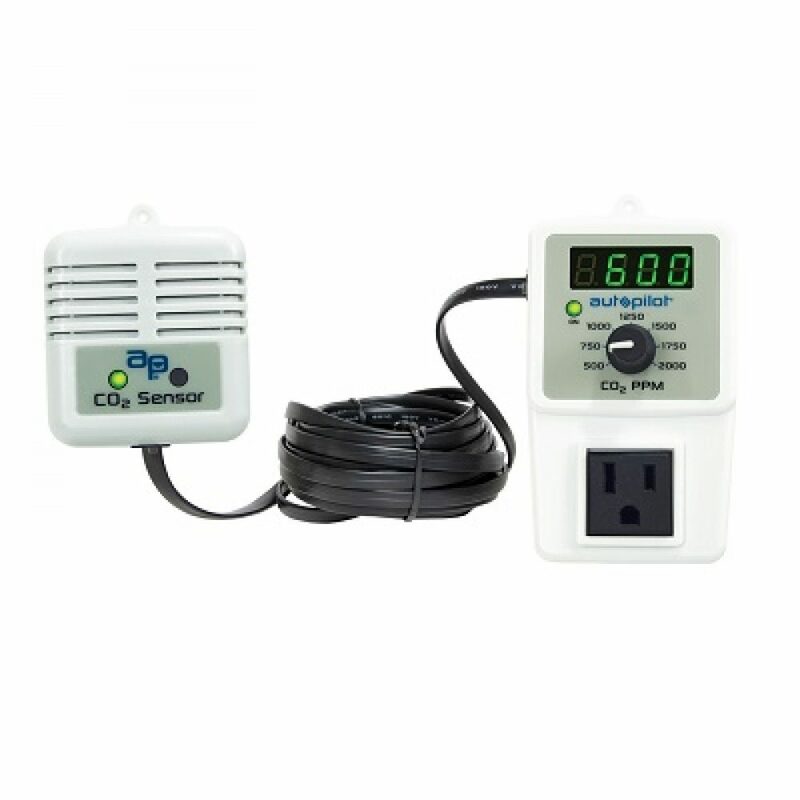 The Autopilot PPM-5 CO2 Controller is a simple and affordable way to control your CO2 injection device. Choose your desired CO 2 parts per million (PPM) level, and the controller will automatically maintain that specified CO2 level. A built-in photocell located on the right side of the sensor automatically deactivates CO2 injection during the night time, and the unit's digital display shows live CO2 levels. The display is green in color, which will not disturb photoperiod. A remote sensor with detachable 16' cable allows close placement to the plant canopy.